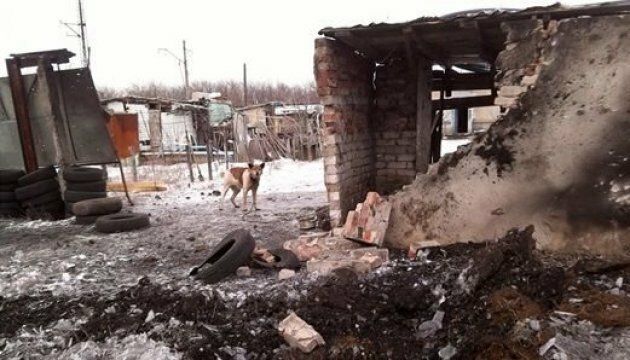 In Ukraine, there is no money to compensate for lost property as a result of military operations in Donbas, only international donor organizations will be able to compensate losses. This was stated on 112 Ukraine by political expert Vsevolod Stepanyuk. "When the war is over, let's hope for the creation of some station of international donors who can finance at least restoration of infrastructure. There is no money in Ukraine and there will not be in the near future, "he said. "The claims for compensation for the lost property legally have every reason to be satisfied. The only question is whether Ukraine has the funds to pay this money, which these people claim, because Ukraine now has such finances that it is unlikely that a bankrupt can give something. That property that was destroyed after the introduction of a state of emergency in these territories, it most likely can not be repaired, since a state of emergency is a restriction of the actions of the law. The fact is that the armed forces Answering a question about why lawsuits are filed against Ukraine, Stepaniuk answered that the authorities are responsible for everything that happens in the state. He also noted that no international organization has recognized that Russia is an occupier. Earlier it was reported that the European Court of Human Rights (ECHR) received a large number of applications from residents of Donetsk and Luhansk regions. So, first of all, these complaints are about material damage. We recall, the European Court of Human Rights confirmed the lack of possibility to pay Ukrainian pensions in the ORLO. » Will Ukraine compensate damage caused by Donbas conflict?